Wayne Gretzky signed his Sportsman of the Year issue for me and I've never looked back. 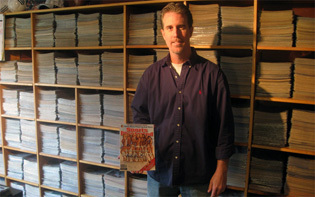 I've since purchased every unsigned Sports Illustrated magazine from it's 1st issue in 1954 and have approximately 94% of every single cover signed. 99% of all signatures were obtained by me, in person. The links below will show you all autographs in my historic personal collection. The Permanent Collection file will show you every single signature and magazine date in my personal collection. The Statistics file will show you a yearly breakdown of all signatures, issues & deceased signatures in my personal collection. The Deceased file will show all deceased signatures & Si cover dates in my personal collection.